This task was going to extend existing system functionality but there was no existing code to reuse or modify and of course expectation was to deliver this soon. So it was a perfect case to use Microsoft Business Application Platform. In this post I will explain how easy it was to provide solution using Flow. To get started first step is to sign up at flow.microsoft.com. Currently there is a basic “Flow Free” plan which is free, for more details about pricing see this. There are three basic components in Flow which are connector, trigger and action. Connector is used to connect to source and target system. 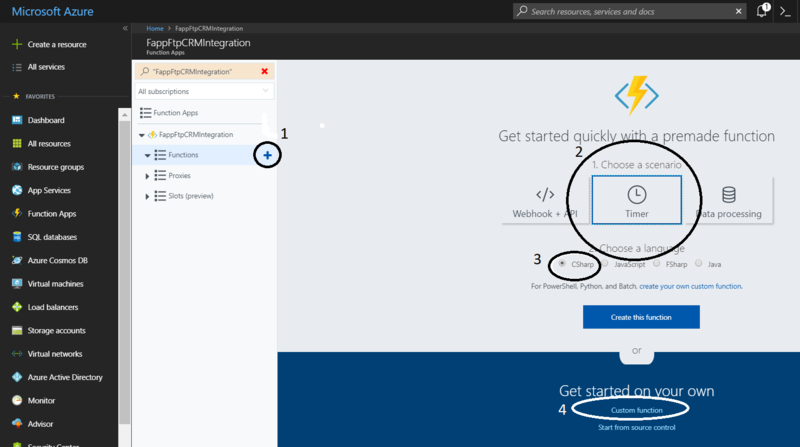 A few examples of connectors are Dynamics 365, OneDrive, Gmail, Twitter, Excel, Azure Storage, Oracle, DB2, RSS, Eventbrite or Youtube. At the time almost 227 connectors are available and hopefully this number will increase. Similarly a trigger with Gmail is when a new email arrives. A connector can have multiple triggers and in a flow usually we chose a trigger which start execution of flow. By choosing an action we tell what should happen to target system or server. Good thing is we can chose multiple actions which will be performed one by one. For example we can create a flow which on receiving an email will send a sms, create a file in Sharepoint and also create record in Dynamics 365. Press Save button to save the Flow and that is all ! Send email to linked account and after 3-4 second verify new contact created in Dynamics 365 from email received. This demo was created using Gmail, but for Outlook, “Outlook.com” and “Office 365 Outlook” two connectors are available. One catch though is at the time they do not offer senders name as dynamic content. A solution can be to redirect Outlook emails to a Gmail box and configure Gmail to create a contact in Dynamics 365. I tried different types of applications, environments and versions but no luck. An error occurred when verifying security for the message. Hope this sharing will save someone’s time. Please feel free to share this post, leave comments or suggestions if there are any. If you like to remain informed about future posts please follow me. Unexpected exception from plug-in (Execute): System.MissingMethodException: Method not found: ‘! !0 System.Array.Empty()’. Unexpected exception from plug-in (Execute): WorkFlowComponents.DeleteUnwantedPotentialLeads: System.MissingMethodException: Method not found: '! !0 System.Array.Empty()'. It was happening becasue my assembly version was not supported by Dynamics 365. As per this document Dynamcis 365 supports .Net Framework 4.5.2. Corrected target .Net framework, redeployed assembly and same code started working as expected. 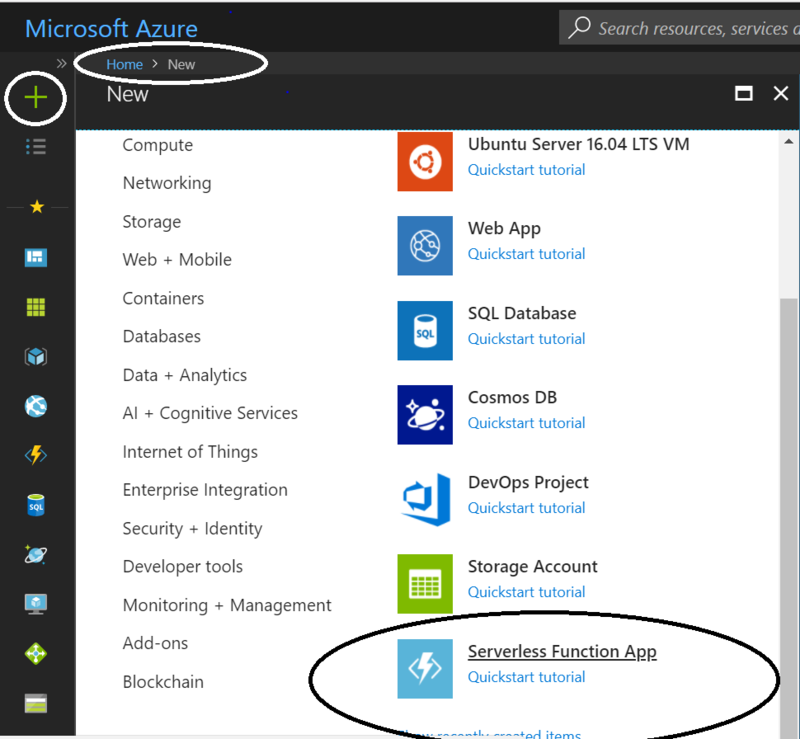 Function is serverless offering form Azure. Serverless computing is a way to write code without need to manage infrastructure, application dependencies and other required resources. Even for scaling Azure will take care of them. 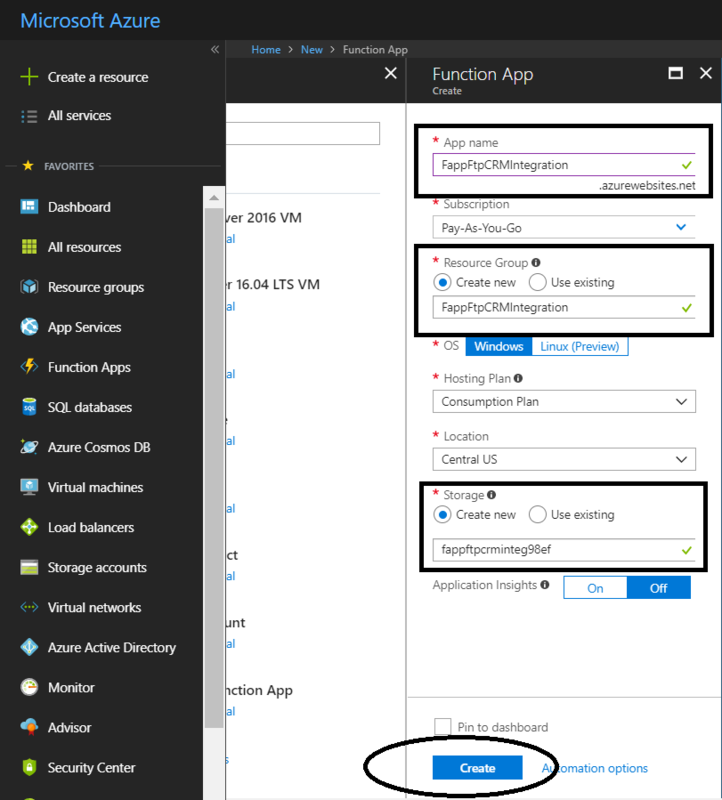 Once we know the environment using Function is easy, login to Azure portal write or deploy code and start using it. This function will be scheduled to run once in 24 hours. From ftp server it will read a CSV file (data for lead entity) and pass it to CRM. 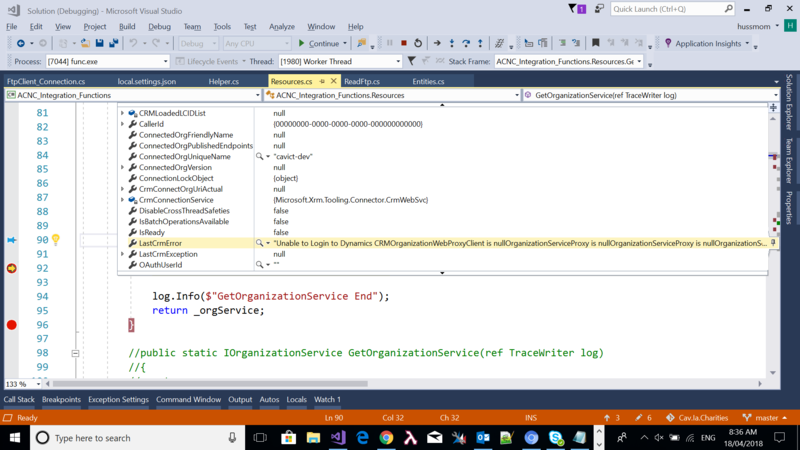 Functions can be coded and published from Visual Studio or directly in Azure portal, for this demo I will use later approach. To create a function we need to create a function app. If you don’t want to use existing resource group and storage feel free to create new. In Schedule add 0 0 12 * * *. This cron expression will trigger this function in midnight at 12 O’clock. See this for more details about cron expression. 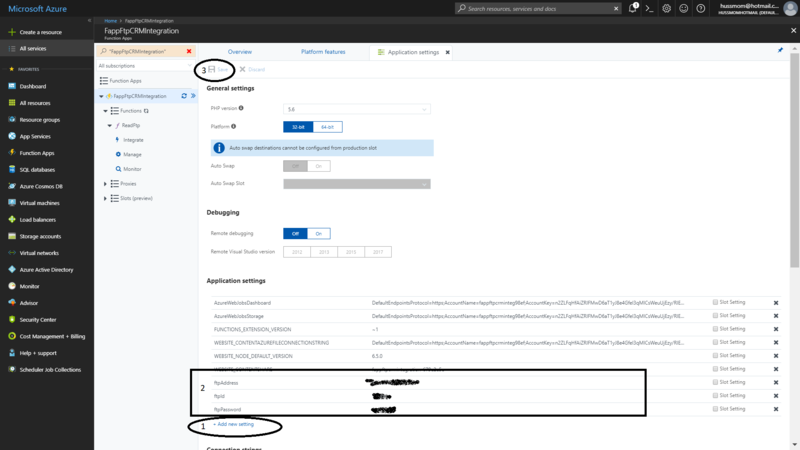 Let’s add CRM connection string, FTP URL and credentials as application settings to avoid hard coding. This is example with Dynamics 365, no need to surround with single or double quote. Since code use assemblies from CRM SDK, we will add these to our code. 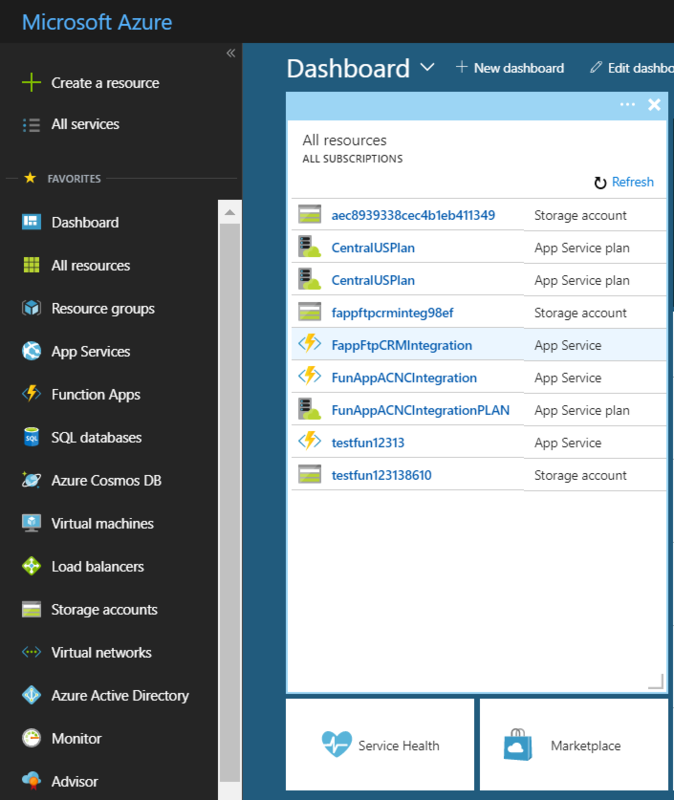 With Azure Function it is achieved using project.json file. Add project.json file if it is not already there and then add NuGet packages in it. Let’s save it, run the function if it is not already running and see how we go. Browser extensions are great software components which increase productivity and let browser do things which they can’t otherwise. 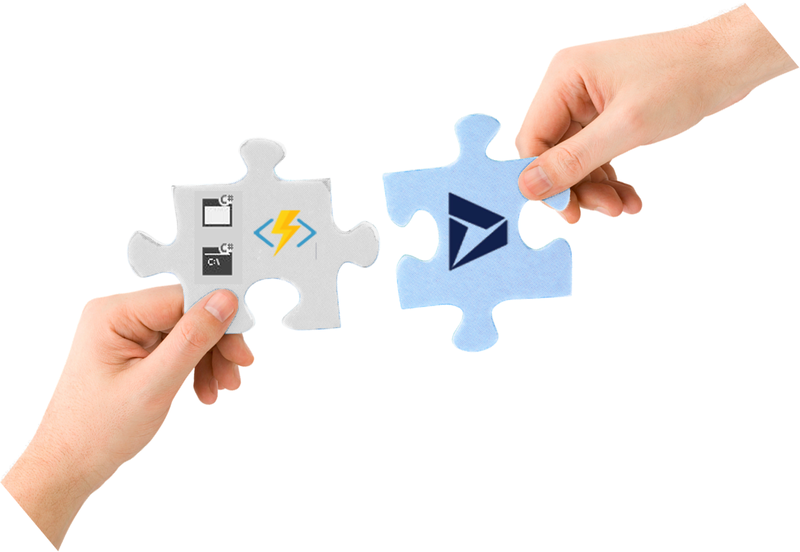 For Dynamics CRM a few add-ons are available which do fantastic things for CRM developers, testers and power users. This post will review these extensions and their features. Dyanamics CRM Power Pane is developed by Onur Menal (CRM technical consultant from Turkey) and is available for Chrome and Firefox. For any record, with a click, we can see record guid, record url, entity name and entity type id. Copying a record to clone in a new tab is another useful record action. Form actions let the user enable all fields, show hidden fields, disable value requirement, get schema names as the field label, and copy schema names in form. Other features like showing optionset or field values, highlighting the dirty field and refreshing ribbon or form are also useful form actions. Navigation section directly opens a record, entity editor, and mobile clients. Power Pane also has some performance and diagnostic features. Level up for Dynamics CRM/365 is developed by Natraj Yegnaraman (MVP from Melbourne, Australia) and is available for Chrome. Level up has almost all major features offered by Power Pane and a good thing is it offers some unique features as well. For example ‘God Mode’ makes all mandatory fields optional, hidden fields/tabs/sections visible and read-only fields editable. Some other cool features allow refreshing all sub grids, refreshing page and turning autosave off, toggling tabs, copying and pasting lookup value, opening lookup in a new window, seeing a list of business rules and workflows in a separate tab. 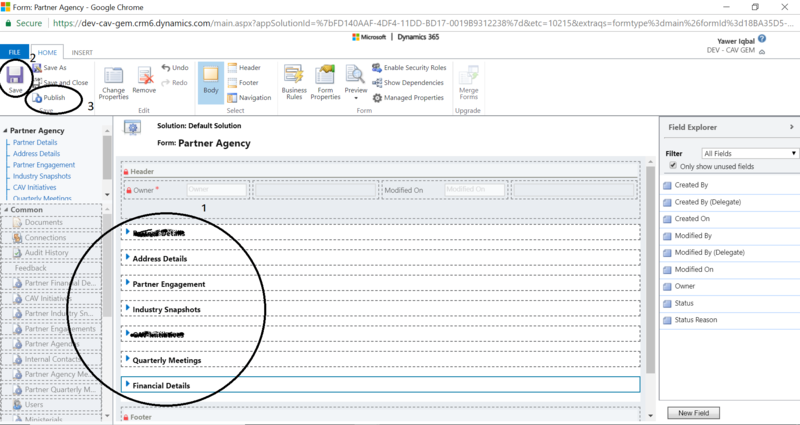 From navigation section, in a new tab, it can open different CRM sections. Overall I have found it very useful. DevTools is offered by Sonoma Partners (Microsoft Partner from the United States) and is available for Chrome. It has some common features of other tools (like enabling form, showing schema names, showing hidden fields, refreshing form, record properties, performance tools, user and record details etc). Unique features are the possibility to run fetchXML, list of plugin, setting focus to a field and changing field value for testing. DevTools also offers a set of performance and debugging reports. Also it provides storage support for your snippets. Have you used or developed an extension which I have not covered in this post? kindly comment if there is. Please follow my blog to remain informed about upcoming posts.